I managed to hunt down the purple and green digi! Later named ROAB digi apparently. Also got that ORA Pavona. Not quite as nice as my old one IMO, a little shaggier and smaller, but nice. Current Tank Info: 65g mixed display 100g rubbermaid sump/prop tank, 20g refugium, 100g half cube rimless acro display, 3x 100-180g prop tanks. All powered by LED. Do you have this one? I bought it years ago but eventually lost it. They come in wild occasionally. I got to jump in and say hello! I miss having a tank and am really looking to set something up soon. My hats off to the old school reefers! Many challenges these days, cost of power, water etc. Got 400 watters put away still, Radium and Iwasaki. Joe, you need another tank man! Your old reef with sps and turtle grass was a favorite! Therman have you added palawensis yet? Hey Joe! Another legend visiting the thread! Ed, I think that is a danae of sorts. Never tried one of those wild ones. I finally got the "true" appleberry to grown next to my knockoff. 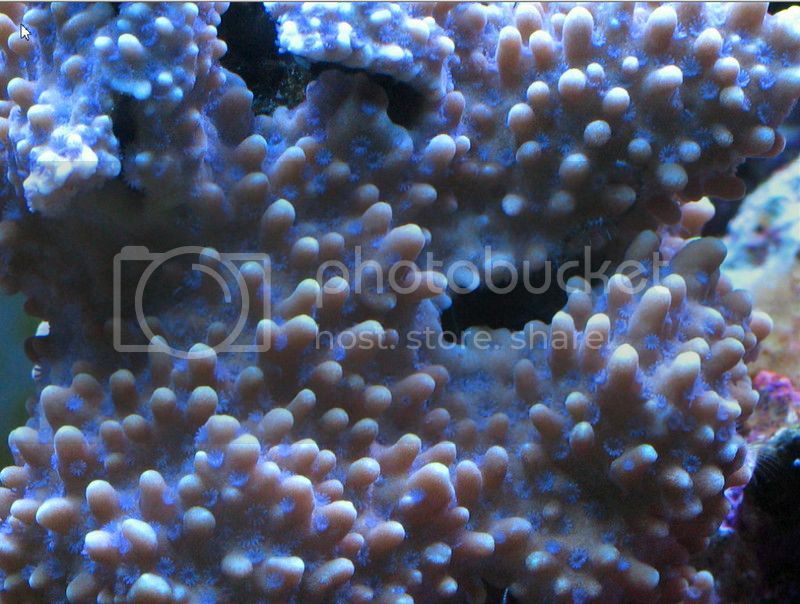 Very different colorations, both great corals. Mark, I do have some little pieces of those, along with a TON of the "slowburn" or "nautispiral" one that has been around a few years. The "beach bum" and "outrage" I have are so much better looking, but haven't grown anywhere close to as fast for me...plus started a lot smaller! I've got Adam's "metal polyp monti" plugging along now and acclimated to my LEDs, it is a real oddball too. Wow, nice to hear from you! Joe, I remember visiting you and your tank and 200g refugium, I was in awe! I can't even remember when that was, probably over 10-15 years ago! Hi Mark, I do need a tank and miss that 180/ sea grass and SPS, especially my black tang. Therman, I'm incredibly humbled looking at your tank and passion for reefing! Keep it up! The legend is sharing all your and our information and success with the community. Hi Maximus!!!! I remember when you came over! Yes it was a while ago, 15 years I think. I did the best I could and made a lot of mistakes too, spent a lot of money lol. I miss hanging out with everybody and want to set something up soon. Therman seemed to have sent me a PM about this thread in 2014, and I haven’t been on the site for a while and obviously don’t check my inbox often enough. I thought it would be rude not to reply and that the thread deserved a bump. My tank has been sitting empty in my garage for 10 years since I moved, and I still hope to do something with it after I remodel my house. It looks like I have a lot of catching up to do though. Good to see some of the original gang on here. Hope you are well!